Our volunteers are at the core of our mission – meet some of the folks who dedicate their time to make a difference! 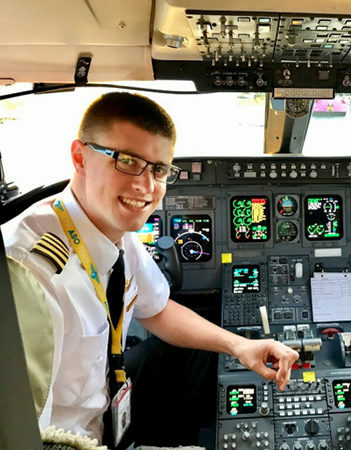 An Endeavor Air pilot, Captain Ben W., has dedicated hundreds of hours to the Habitat NYC ReStore and our mission. 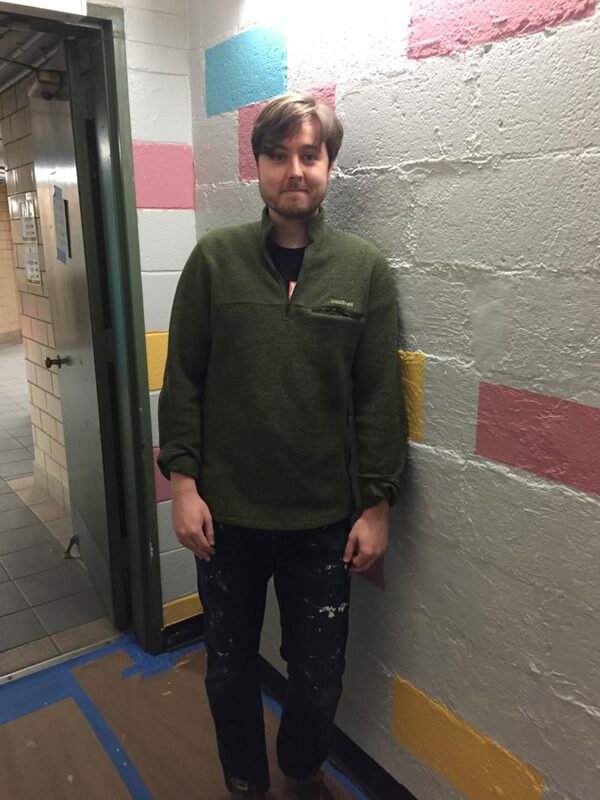 Since starting in 2016, Ben has more than 500 of volunteer hours under his belt, earning a Volunteer of the Month award and even the Winter Warrior award, which is presented to the volunteer with the most service hours during the brutal winter months in New York. "The people here are wonderful, super supportive and friendly! I came to build by myself and they made me feel very welcome." 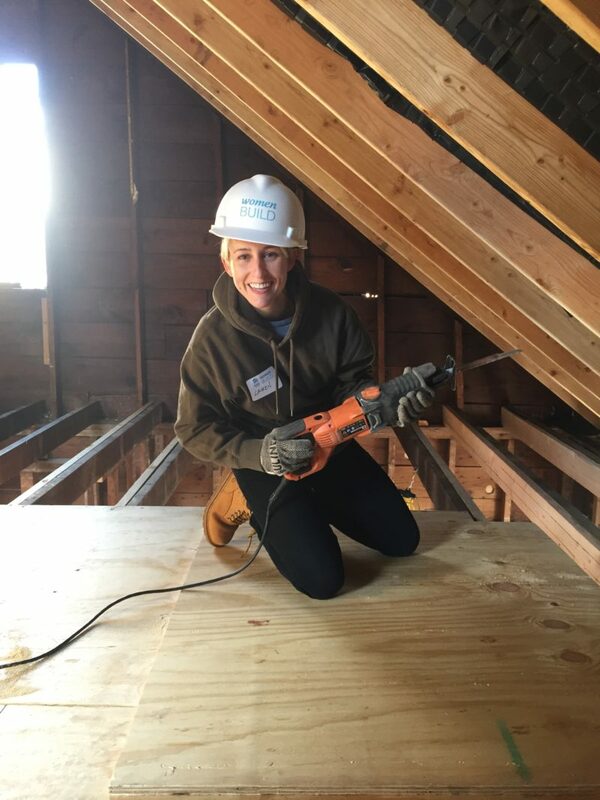 "I can say that I’ve had a lot of jobs in the city over the past 7 years and I haven’t found anything as rewarding as volunteering with Habitat." "I like that I can see different parts of the city, and not as a tourist. I like being a part of the community." 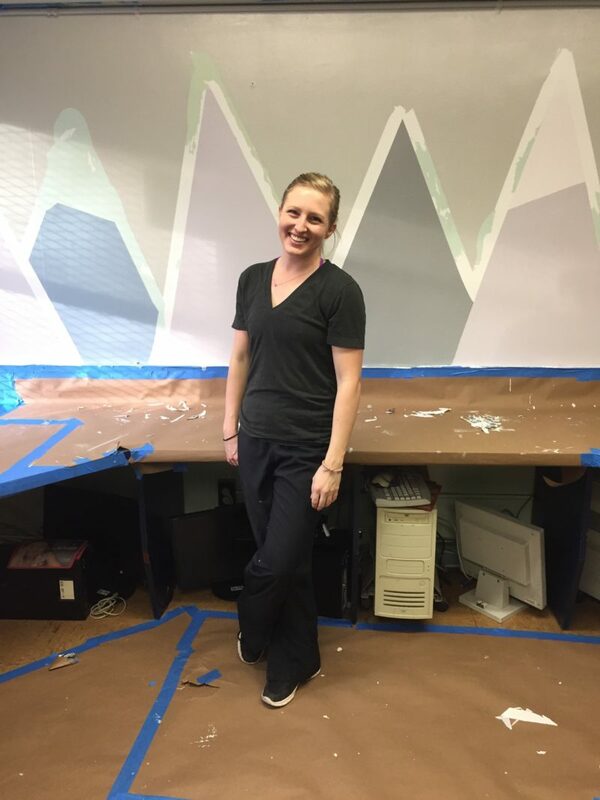 Samantha N. is originally from Texas and was a real estate agent, so she naturally liked the world of construction. She volunteered at the Dallas, Texas affiliate. There, she was a “Habitat House Leader,” and oversaw the construction of the homes from start to finish. She also volunteered with Habitat for Humanity in Spain. "I waited to volunteer until my daughter was out of college and I had some free time to volunteer and lend a helping hand to others." We value Nadia’s impact on our city so much that she is the 2017 recipient of the Corporate Volunteer Habby Award! We’re looking forward to Nadia’s next 500 hours volunteering! Learn more about volunteering with your company or organization. "Because of Habitat I have a new best friend!" Volunteer with us and help to build a better city (and maybe even make a new friend!). 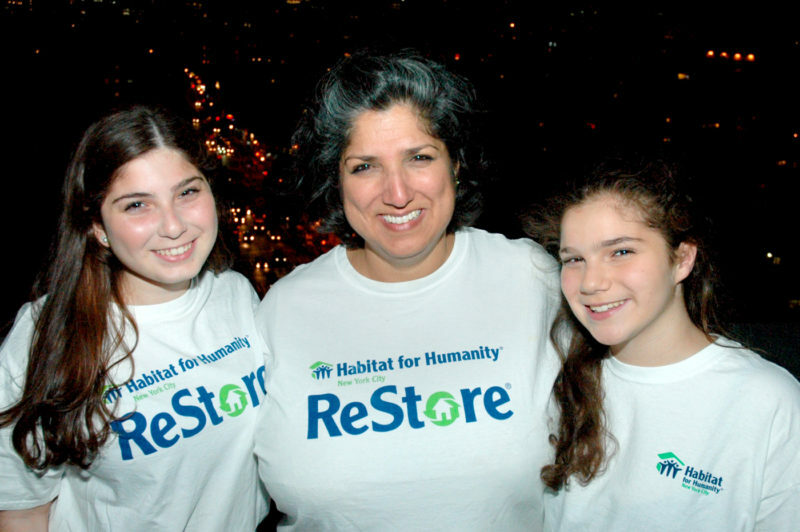 A long-time resident of Brooklyn, Alex has been a dedicated Habitat NYC volunteer for more than a decade! He is well-known in our John Street office for his sunny disposition and sense of humor. Alex had previously volunteered in public libraries and political campaigns, and thought that volunteering for Habitat would help him “stay out of trouble.” Well, we don’t know anything about that, but we do know that his experience in human resources and stock exchange operations made him perfect to work in our Resource Development department, where he collects donor data and corresponds with contributors. When Alex began volunteering, way back in 2006, processing donor information and keeping track of mail sent to donors was a much more “hands on” task than it is now, and Alex stepped right into the role, eventually working with our digital database and helping out at events. Paul is a teacher through and through. 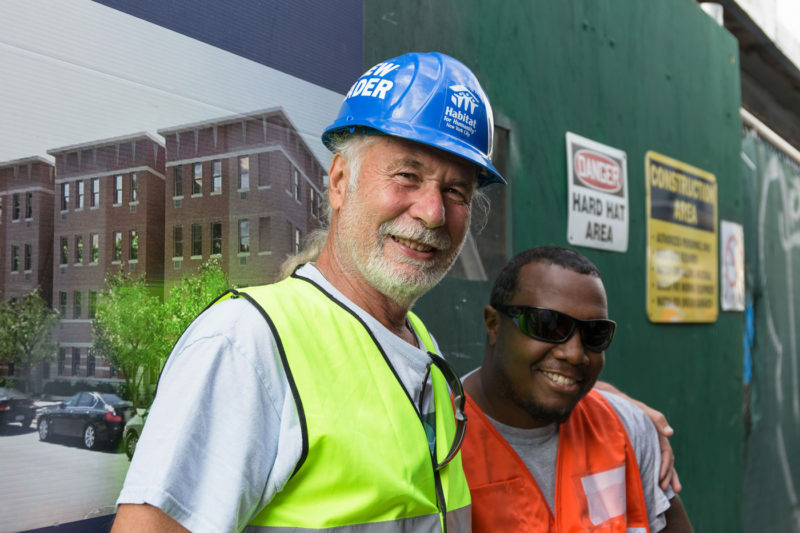 He retired from teaching high schoolers biology and now, as one of our most dedicated volunteer Crew Leaders, he now teaches other Habitat NYC volunteers how to use power tools. 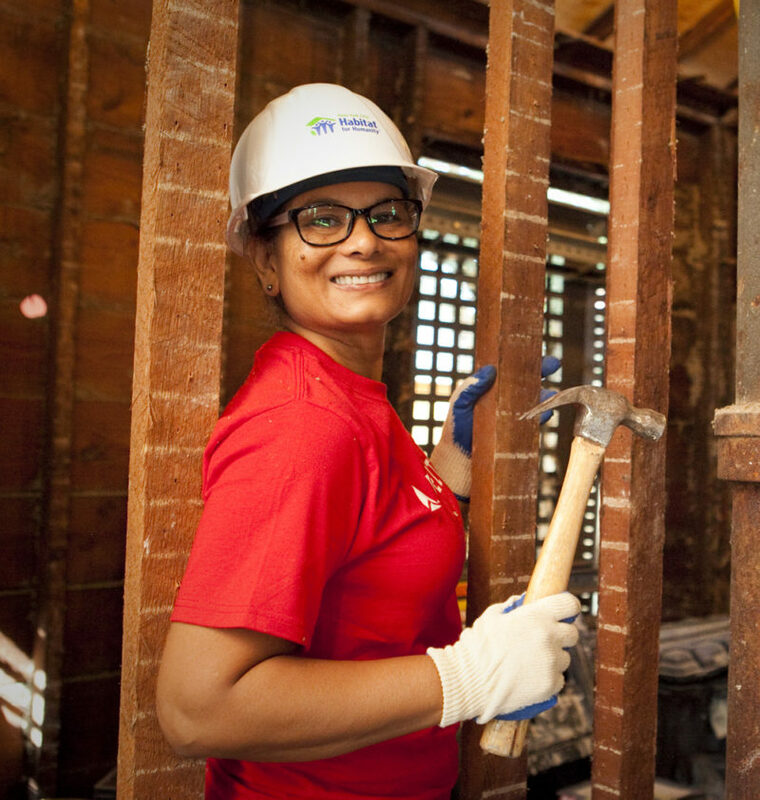 After Hurricane Sandy hit New York in 2012, Paul got involved with a few different housing organizations to help repair his neighborhood in Brooklyn, and soon found Habitat’s Critical Home Repair program. He rebuilt homes in the Rockaways and Staten Island, and was hooked. He’s been “Habitating” ever since. Ayesha has volunteered with Habitat for Humanity for over 16 years, so she was delighted when her daughter Elan caught the bug too! 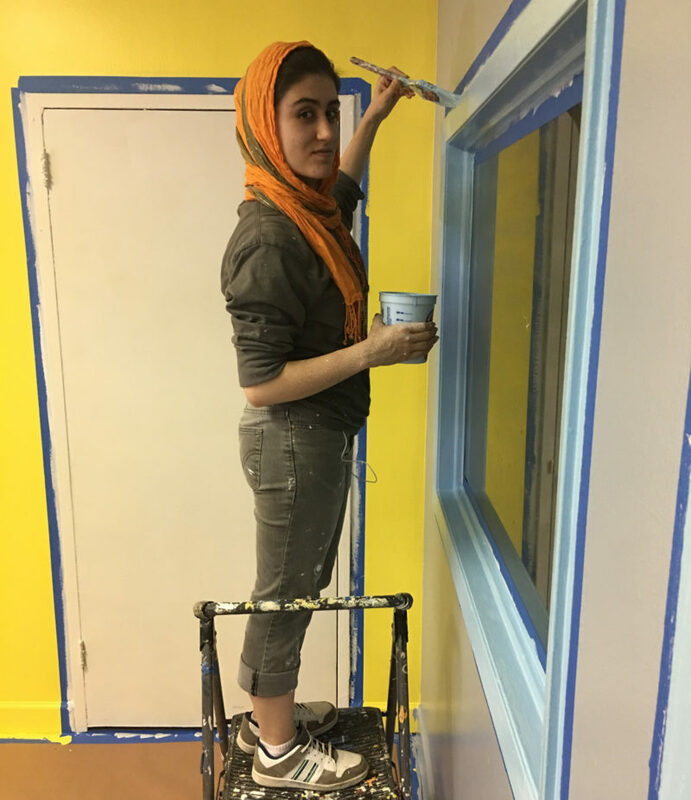 The two volunteered with A Brush with Kindness, but were looking to volunteer more consistently and at times that would fit in better with school. That’s when they found the ReStore. The ladies volunteer at the ReStore on weekends, and try to get out to the store at least twice a month. They love being in the store, “Everyone is so welcoming, not just of customers, but of each other,” Ayesha told us. “There is such a sense of community.” The experience of having a retail position is empowering Elan, who is becoming more comfortable approaching strangers and helping others. The mother-daughter bonding won’t end anytime soon if Ayesha’s younger daughter Summer has anything to say about it! Summer was too young to volunteer with A Brush with Kindness, so now she’s waiting her turn to volunteer at the ReStore. 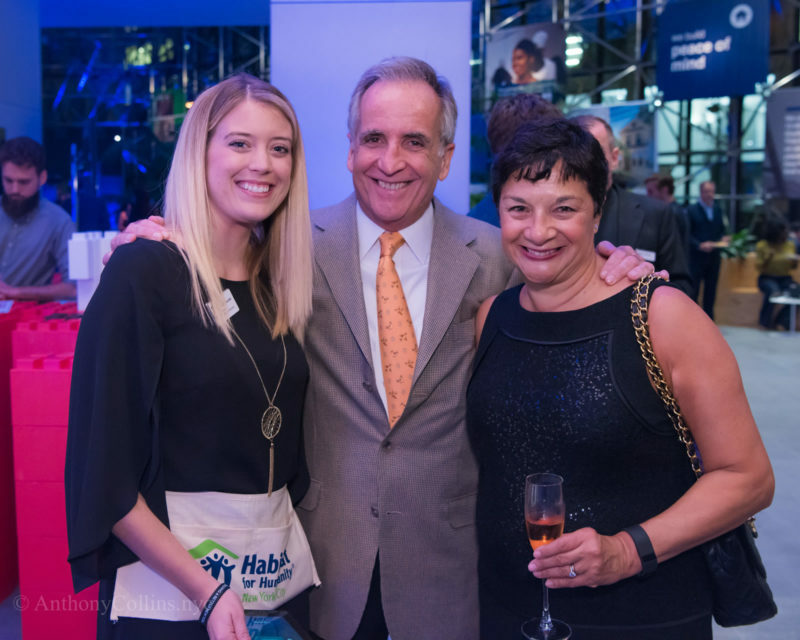 Ayesha is proud of her girls and their desire to make a difference in the world, and Habitat NYC is proud of all of them for making our mission their own.